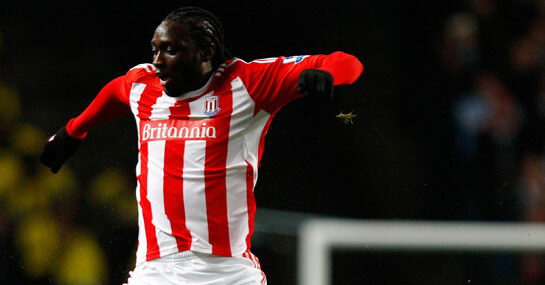 Although Peter Crouch seems ready to return for Stoke, sticking with Kenwyne Jones may prove the best policy for Tony Pulis if he wants to secure a home victory against Aston Villa. Illness caused Crouch to miss Stoke’s defeat against Manchester City, although the problem now seems to have cleared. Jones deputised for Crouch in the loss without scoring but may have better luck against Villa. He scored in both Premier League meetings with Aston Villa last season and may therefore be worth backing at 9/4 to find the target at any time in the 90 minutes again. Meanwhile, there is certainly a case that Stoke could benefit from picking both Jones and Crouch given the positive impact that set plays could have on the result. Stoke are certainly at their most dangerous from dead ball situations and with Villa looking particularly susceptible from set pieces, this must be their best method of attack. On paper, the 10/11 in the Premier League odds looks one of the best bets of the Boxing Day schedule, especially given their recent record against Aston Villa. Stoke have only lost once to Villa since gaining promotion to the Premier League in 2008. However, Villa will not only take confidence from their much improved display in defeat to Arsenal, but also in Stoke’s difficulties in keeping clean sheets. The Potters have only shut out the opposition in one of their last nine Premier League games and there is a strong possibility that Villa will be able to welcome back chief goal threat Darren Bent from a groin injury. It is 7/1 that Bent opens the scoring at the Britannia Stadium and 9/4 that he strikes at any point of the mid-table clash.